It was approximately one year ago that Cycling BC entered a very difficult period, starting with significant deficit, that led to a rather divisive and acrimonious Annual General Meeting, with a new Board of Directors voted in and the President, Wayne Pomario, later stepping down [who has not yet been replaced]. Richard Wooles, the provincial coach [and, at that point, still National Track Coach], then became the Executive Director of the Association, replacing Keith Ryan, and overseeing an exercise in downsizing, which saw many of the staff let go. We spoke with Richard at the Cycling Canada Annual General Meeting about the efforts Cycling BC has had to make to deal with the situation it faced, and the current status of the Association. 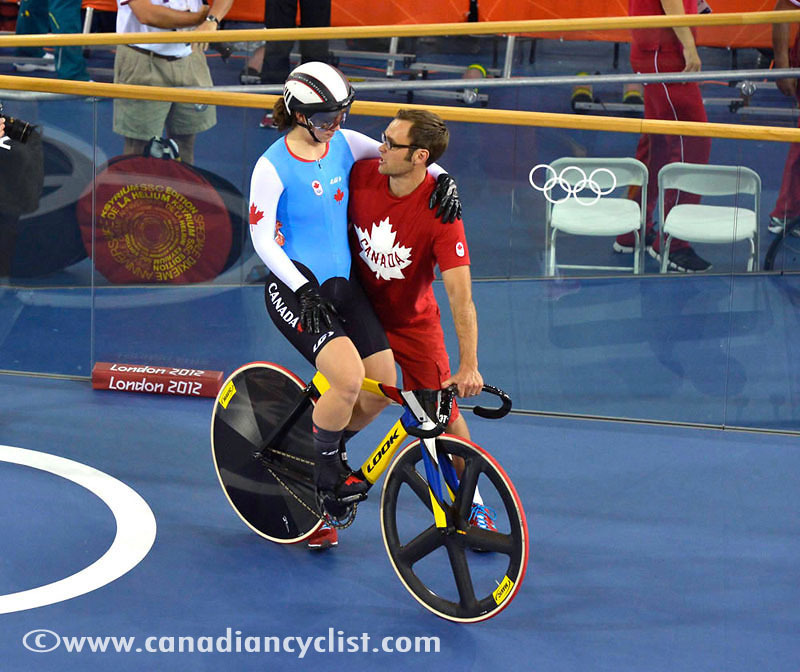 Canadian Cyclist: It's been a tumultuous year for Cycling BC. Can you give us an overview of the position the Association was in when you came on as Executive Director, and what are some of the things that have been done over the past year to rectify the situation? Richard Wooles: I think some of the issues that we had at the beginning of the year were substantial. We had to make some changes to the organization very quickly, otherwise the organization was going to be in difficulty just to sustain itself. We did get to the point where we spoke to the [provincial government] and we had to make some pretty firm and quick decisions about our sustainability as an organization. Our cash flow at that point was very tenuous at best. We really had to make some decisions about who was going to get paid, when do we pay people, and also how do we pay people. We went through the office and tried to liquidate everything we possibly could [note: this included equipment such as the office computers]. And we got to the position where we could stabilize later in the year; as of last week we are now stable and we no longer have any debts in the organization. Hopefully by the beginning of next year  we can begin to rehire and start to get some staff back into the organization. We have gone from a staff of around 12 to a staff of three. CC: i don't know if you can talk numbers, but I had heard that the deficit was in the range of $400,000. RW: Yes, you could say somewhere around that number. We have an audited statement of about $250,000, which I inherited with the job at the beginning of the year, so that was the big one to work with. Then there was some other damages along the way. But with every one that's come along we've had the opportunity to engage back with our membership and really look at what we are trying to do in the organization. We put some big surveys out; we've spoken to over a thousand members and I've personally spoken to over 350 face-to-face. And we've really gotten back engaged with our membership. CC: What are the things that you have found out from that process? What are members going to see going forward? CC: One of the big expenses that made up the deficit was the BMX World Cup last year. Are you going to be able to keep those facilities? Because it would be sad to lose a world-class facility like that. RW: No, our facilities are still going to be there. I think the BMX [track] was just one of the things [causing the deficit] and I have to give credit to the people that put the event on, I think they did a phenomenal job. I wasn't there myself, I was just coming back from the Olympics, but I think the event ran extremely well. I can't speak to how it got into the difficulties that it did, but it just did. But now we are hoping to have many more great events there, and another World Cup there in the future, I hope. CC: For this coming season, where do you expect to be by, let's say, the start of the main season, in April? RW: I think we are going to take our time to rehire the right people, and make sure we have people around our strategic goals. We've really got to push to provide value to our members. We've really got to increase youth. We're here at the Cycling Canada AGM and we've spent a lot of time talking about Canada Games, and populating the teams to their maximum. We still don't have enough youth coming into our sport. Just look at the numbers - I think 60% of the members of Cycling Canada [through provincial associations] are over 30. We really are top heavy; I want to make sure that there is a clear pathway for youth coming into our sport, and we are going to spend some time hiring the right people and really coming up with goals at the end of every year. If we don't meet them, why haven't we met them? What is the review process around that? So just having some very simple processes in place. CC: Now your background is in coaching; and this is an extremely different type of position. How are you finding it making the transition from being a coach who is hands-on with high performance athletes to dealing with the administrative stuff, and the books, and the government and everything? RW: I would have to say that there have been lots of great opportunities for me to learn very fast! I've tried to surround myself with as many smart people as I can. I understand my weaknesses and I think we have done an okay job so far. My internal goal was to get it done [remove the deficit] by October. We didn't quite get it done by then, but I told everybody we'd get it done in a year, [and] we just wanted to get back on even ground. I don't think you can carry a debt around for multiple years and think about doing anything. So my internal goal was to level it off as quick as we possibly could, and I apologize to the people we upset along the way, I didn't mean to, but we had to make some decisions to really get this thing rebooted and ready to go in 2014. CC: From the perspective of a member, what do you think the major differences they are going to see in their interactions with the Association, as they start to sign up for licences and that sort of thing? RW: I'm hoping first and foremost that there is a direct line of communication with our members. I'm more that happy to stick out my cellphone number and give out anything I can. I will respond to anybody; it used to take a couple of days and now it takes a couple of weeks, but I hope they feel connected to the organization, and feel proud to be part of Cycling BC. CC: And what are they? RW: Well, first and foremost of the three reasons is the High Performance and the Youth Development. We are mandated by the BC Government to produce these things. For the members we are hoping to provide good value, so in the races that we provide, in the benefits we can provide back to the membership, and also the information that we have in the organization, so putting out newsletters, training advice and also just connecting members within our organization. We have great races; how do we let people know what we are doing? We've really looked hard this year at the organization and what it stands for. There are so many people that ride bikes - the numbers have been thrown around like 100,000 people riding bikes in BC, and we have about 5000 members ... 'Why would I join, Richard?' How can I be insured to ride my bike, how can I meet like-minded people, what value can you pass back to me? We've had a year of collecting information, and I thank our members for giving us our grace period, but if I'm here next year and haven't made some progress then hopefully I'm going to get reviewed and get asked to leave.